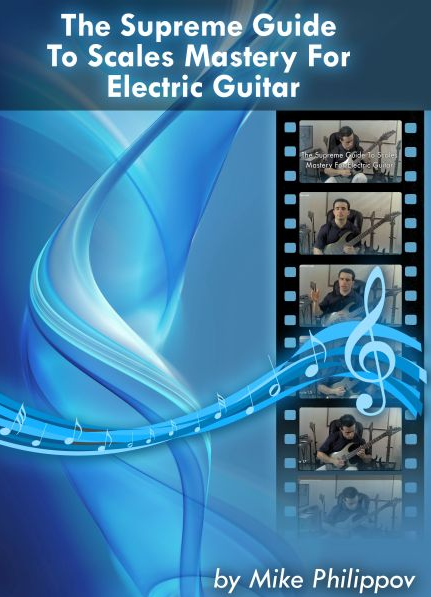 On this page you will find the most effective guitar practice products that will train you to get huge results from every minute of your practice time. Learn how to practice guitar effectively to get HUGE results from every minute of your practice time. No matter how old you are, what style of music you play, or how much talent you think you have (or don't have), you CAN become a great guitar player "if" you learn exactly what the very best guitar players do to become great. In this course, you will learn how to make much more progress on guitar while practicing less, how to master any guitar technique that you find hard to play fast or clean and how to enjoy every moment you spend improving your musical skills. This is NOT "guitar lessons" - this is TRAINING for how to "get results" when you practice guitar with any lessons, courses, practice materials, songs or guitar solos you are working on. I will have you practice guitar under my direction and I'll guide you every step of the way, so that your mind is always focused on exactly what it needs to think about, pay attention to and listen for. 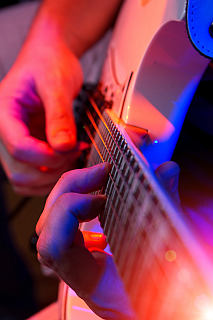 Read this page to learn more about this one-of-a-kind training on how to practice guitar correctly. Do you struggle with knowing how to master playing scales all over the guitar freely and fluently? Do you want to know how to create awesome sounding scale sequences to use in songs and guitar solos and never feel "lost" again when you play music on guitar? If you answered "Yes" to either of these questions, then you need to learn how to practice scales in your guitar playing more effectively. Contrary to popular belief, you do NOT need to memorize dozens of scale fingerings for months on end before you can learn to be creative with them in your guitar playing. I will show you a very simple and intuitive system for taking any scale you want to learn and mastering it fully and completely. I will also show you how to take all scales that you already know and finally start using them to enhance your guitar solos. Read this page about practicing scales for guitar and learn how to finally stop being frustrated with scales once and for all.